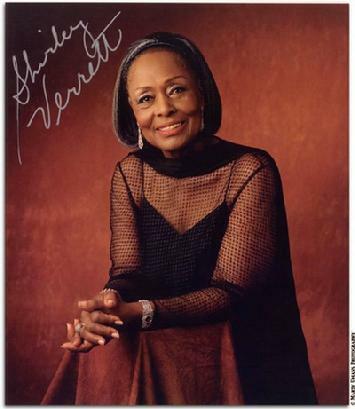 We were very bless to work with America's most beloved mezzo-soprano and soprano opera singer Professor Shirley Verrett. We still glow from the honor of serving her. We work with singers working to strengthen and lengthen the submandibular (bleow the jaw) muscles and releasing trigger points in the myofascia can be of great use to the vocalist. even the work we do in the abdomin does wonders to support a healthy diaphragm. Shirley flew in from Ann Harbor, Michigan and stayed with us for a week. We were able to work on her for 4 days. To meet and to know her is a blessing. Thank you Verrett family for this great contribution to America. I pray that her spirit and countenance that radiated the God She loved will reflect off of her students for generations to come. Chicago truck driver, Greg Maher was struck by a semi truck wheel that fell off of an 18 wheeler. the tire and rim struck him in the hips and shattered, broke and crushed bones, leaving him unconscious in the middle of the highway. He laid unconscious while the two mechanics were working on the truck oblivious to the tragedy that happened only feet away from them. A wonderful lady stopped and rendered help. After much healing, Greg visited Texas and we were able to work on him and offer knowledge and awareness of the muscle tissue that was traumatized and the methodology to apply in order to rehabilitate the tisue and achieve relief. Thanks Uncle Greg for letting me work on you. To the Hippist uncle around. Because we work the soft tissue "like no one's business" we needed a way to enhance the electrolyte levels of the blood thereby making it easier for the patient/client to extract the metabolic watse products that cause pain. So we got together with the nation's leading producer of dietary minerals and together we have come up with the best way possible to encrease efficacy of the myotherapy treatment but we also found a supplement that helps the therapist as well to rid themselves of the lactic acid and wastes created pushing on someone all day. We lauched Myo2MEDS initially to address the need in all sports to overcome the heat barrier. Heat has been blamed on countless deaths in the sports arena. And yet until now, no one is talking about electrolyte replacement. Visit our Website at www.myo2meds.com and read about the sensible approach to health. Build a sturdy foundation and the building will stand. but if the foundation is flawed such as mineral deficiency, you can't expect the organ systems to operate properly.